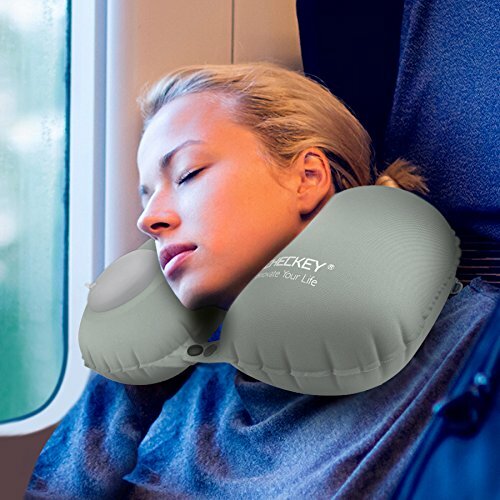 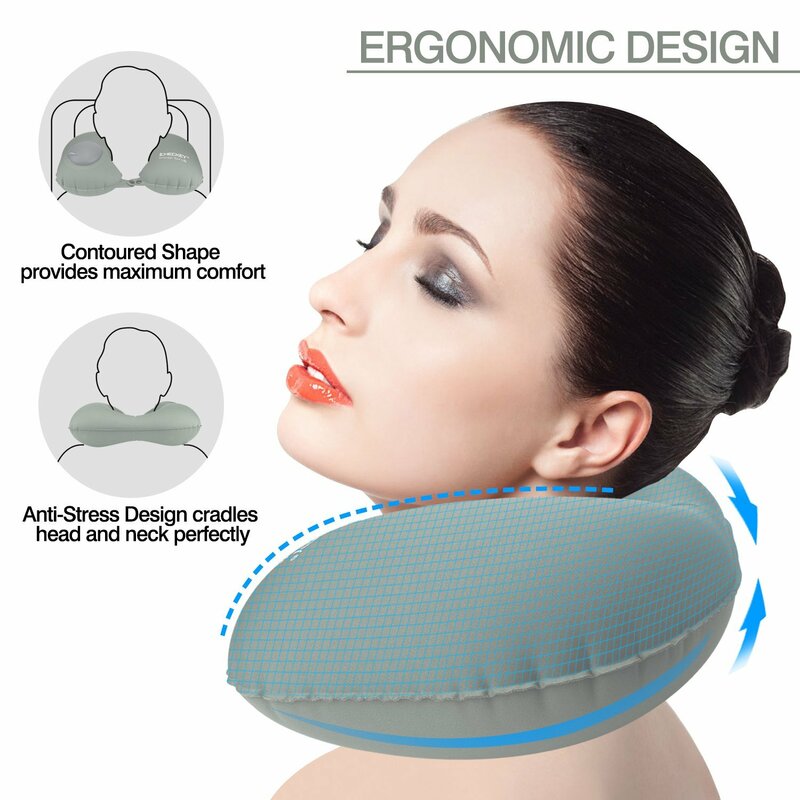 Far different from traditional air travel pillow, this neck pillow has a innovative built-in TPU hand pump, no need to blow to inflate, just squeeze the little pump for a minute, and deflate with the PULL of a PLUG on the back. 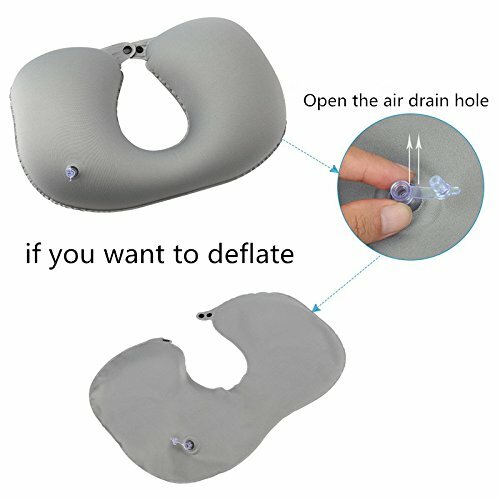 It is out of the way and super easy to use! 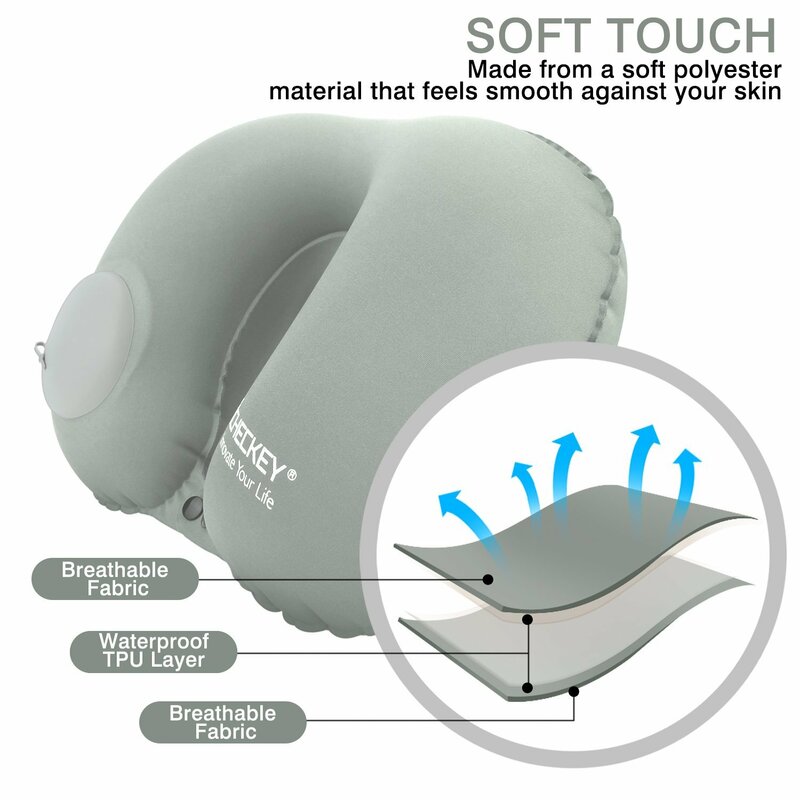 Made with a soft polyester material that stays cool and does not cause heat build-up or sweating. 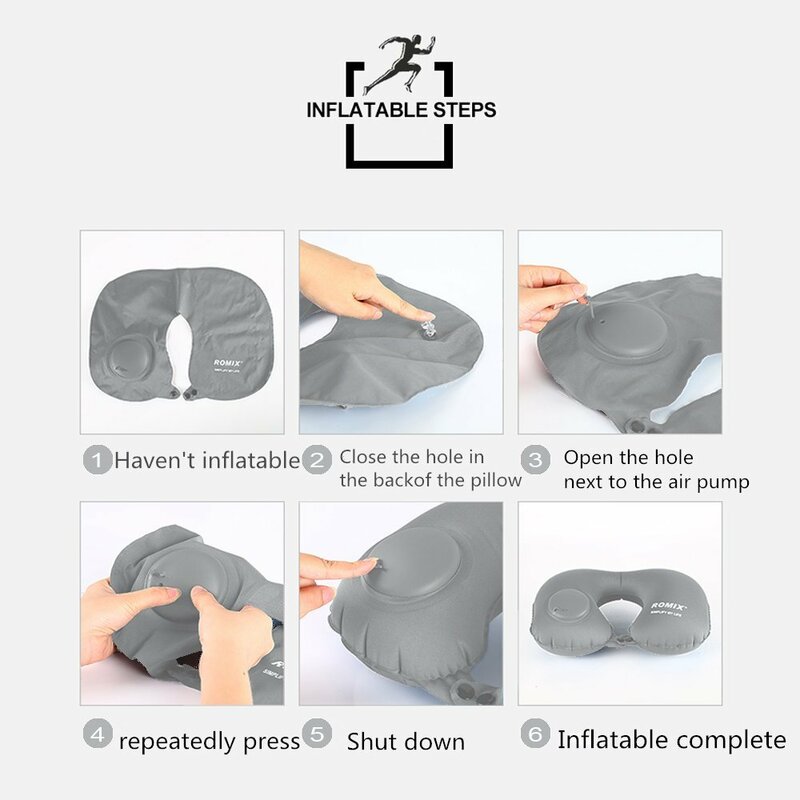 The buttons on it allow the user to adjust the tightness around the neck for extra head and chin support, suitable for adults and children. 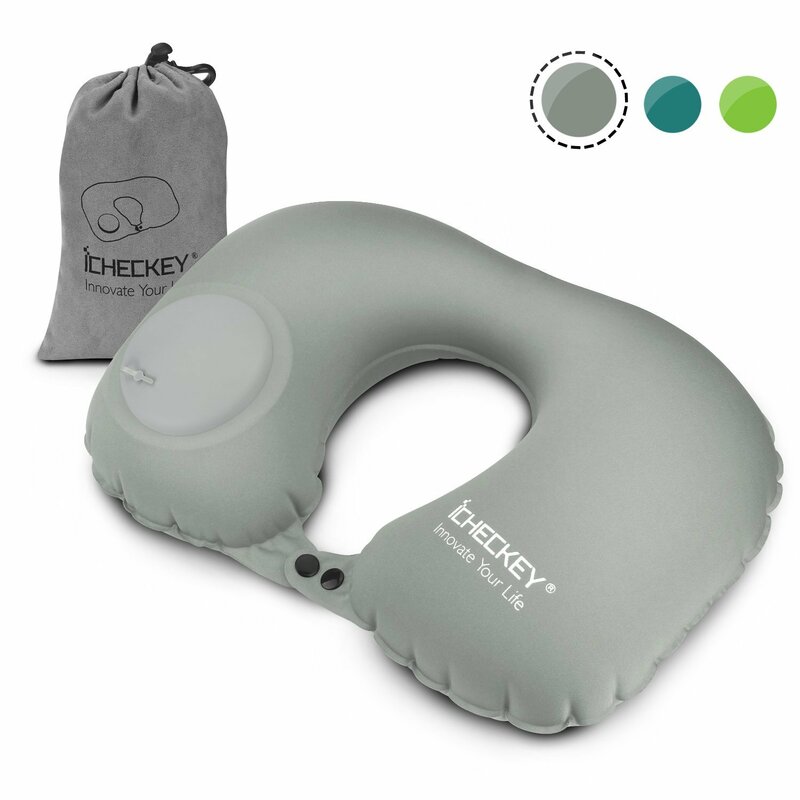 The compressible design makes it small enough to pack up and take with you anywhere! 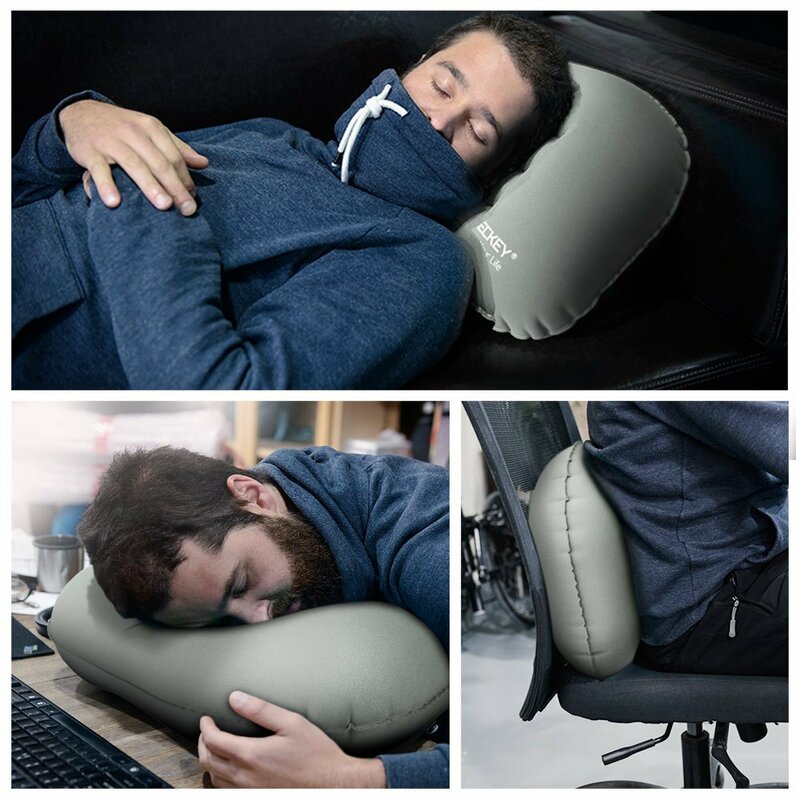 Perfect for anyone traveling on long plane, train or car rides.